Nosing and Tasting are skills to be developed like any others – practise playing the fiddle, practise the skills of football, practise nosing and tasting – one needs to wake up ones taste buds, develop a nuanced flavour vocabulary. One can build up an understanding of why a whisky tastes like it does due to the construction of it. Once one has developed a more highly evolved palate one can usually discern more flavours and aromas – and more often than not widen ones appreciation for many whiskies. Phenol is a “family” of flavour compounds – Phenol is the overarching name – it contains guaiacols, syringols, phenols and other things. You have smokey and peated and they are different, but you can get both in one whisky – ie Ardbeg. 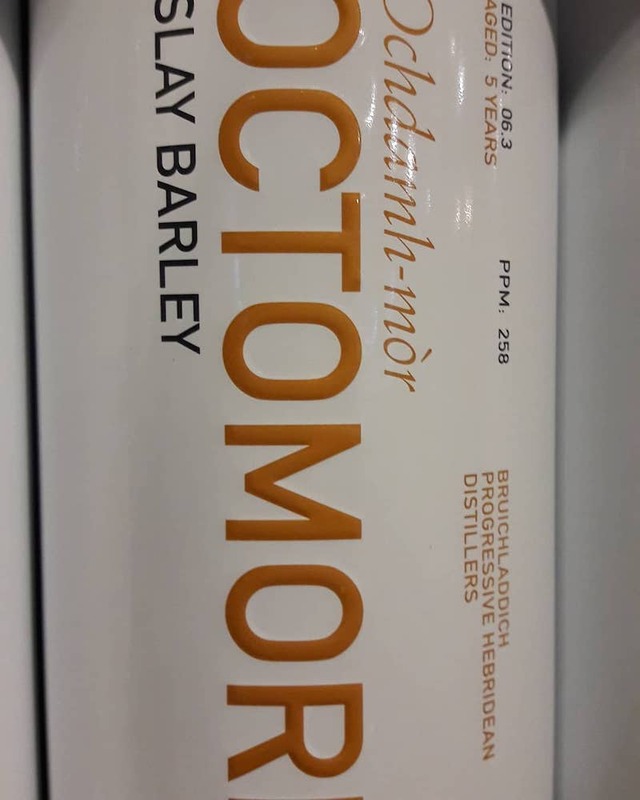 Octomore it is peated and not so much smokey. The mouthfeel and cut of the spirit contributes to the experience of peatiness. Octomore has the highest figure of ppm – but drinking Supernova from Ardbeg which has less than half the number of ppm than Octomore, is like drinking a peat due to the way Ardbeg is distilled, whereas drinking Octomore is not like drinking a peat, at all.